The other day I dug myself a registry-shaped hole that I thought I couldn’t get out of. Working on a guide, I’d created a command that didn’t let me run any programs other than Steam on Windows, including the Registry Editor itself. I was stumped, ready to face the grim reality of reinstalling Windows. And then it hit me that I could edit the registry on my main account from another account! In this article I’ll show you how I did it. From here you can create a new user account by going to “Family & other people” and “Add someone else to this PC,” then following the instructions. 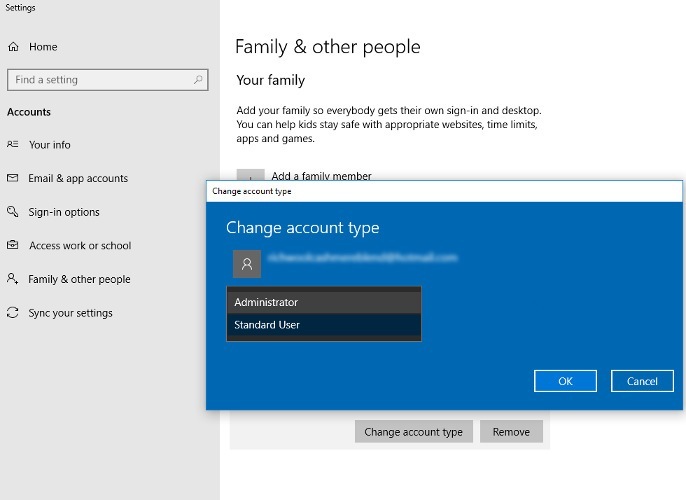 Once an account is created, click it under “Family & other people,” then click “Change account type” and select “Administrator” from the dropdown. If you can’t access this menu, you can instead go to “Control Panel -> User Accounts -> Manage another account,” and do it through there. If you’ve borked your registry to the point that your main account is inaccessible, try accessing it through Safe Mode. Here’s our guide on how to access Windows Safe Mode. Now that the account you want to edit another user’s registry with is an admin, you can go about giving it access to that registry. 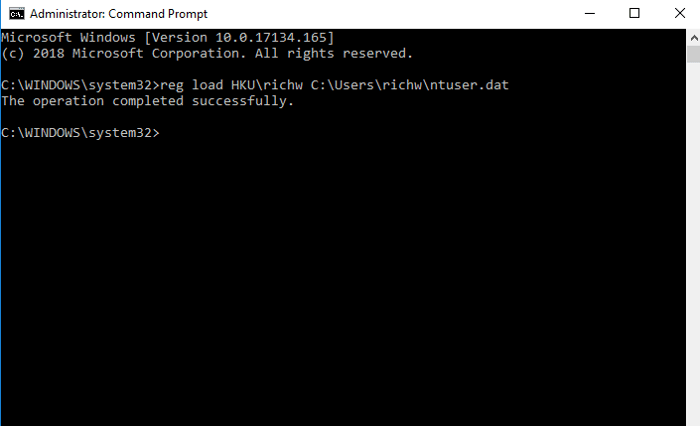 In the account you want to use to edit the registry, open the command prompt as administrator (right-click the “Command Prompt” icon -> Run as administrator), then enter the following command, replacing the richw with the name of the “Users” folder whose directory you want to edit. 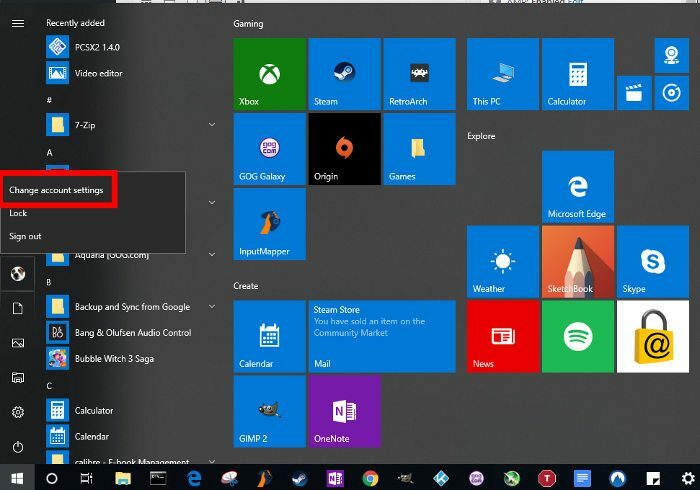 You should get a message that the operation was completed successfully, which will now make that user’s account available in the registry editor. 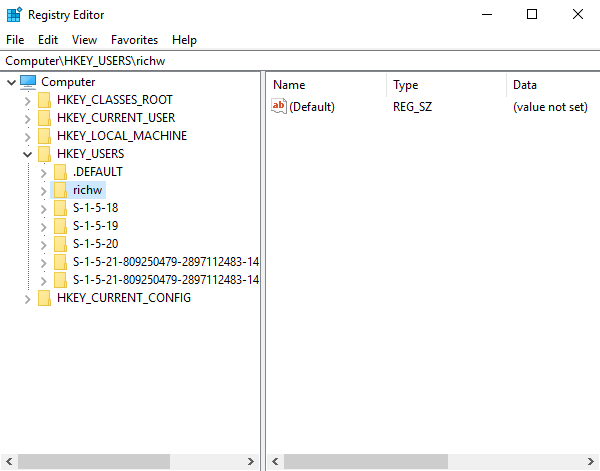 Next, open the registry editor, and go to “HKEY_USERS.” Here you should see the account listed under whatever name you gave it in the command prompt. It’s just a case of clicking the dropdown arrow next to it, and you’ll have access to tweaking all their registry keys. Before doing this, remember to back up your registry, as I’m living proof that making the wrong changes in the registry can go on to make your life pretty difficult. Here’s our full guide on how to back up and restore some or all of your registry. You’re now able to access another user’s registry, which means that if you know of any mistakes/registry tweaks that had a bad impact on that person’s account, now is your opportunity to undo them. 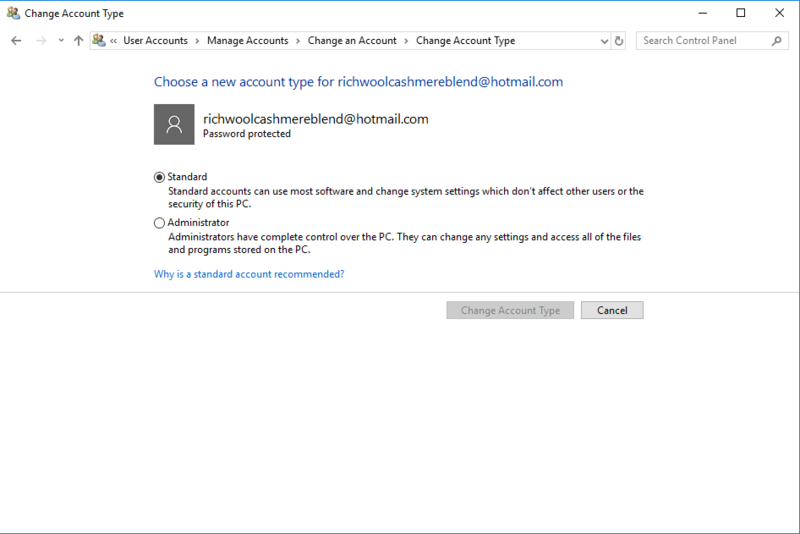 Another use for this is to treat another account as a kind of lab where you can experiment with registry tweaks, then easily undo them from your main account should things go wrong.